• Control outsource team for good quality on laying cable, must check spared cable & splitter box on customer’s pole & must note clearly spared cable meters to make sure outsource team has spared cable on pole properly. • Can splice fiber in ODF, closure, splitter, fix backbone/customer link, test signal from POP/splitter/customer site and use OTDR in order to measure the distance on laying cable. • Can lay optical fiber cable and attach on EDC/TC poles both overhead and underground. 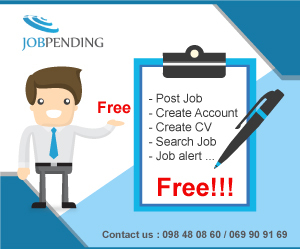 • 1-2 years of experience engineering, IT or related field.